Thanks man! I will get the orange background and find better lighting and put the DBZ logo in the middle. That posse shot is so sweet! I don't think I ever posted about Ur tien which is amazing I love him man. U did a great job on him. I also love Ur dbz opening pic. I think someone already said this but I think if u painted that sbc gohan he would fit in a lot better. Either way I want Ur yamcha and tien pretty bad. SupremeKai thanks man! I´m glad you liked it. I still need to get another Regular Goku, just for the serious face haha, and re take the shot with the DBZ logo in the middle. I was going to leave Chiaotzu out, but I guess he belongs there too haha.
. Irwin 16 is back in the meantime haha as I sold my sculture 16. 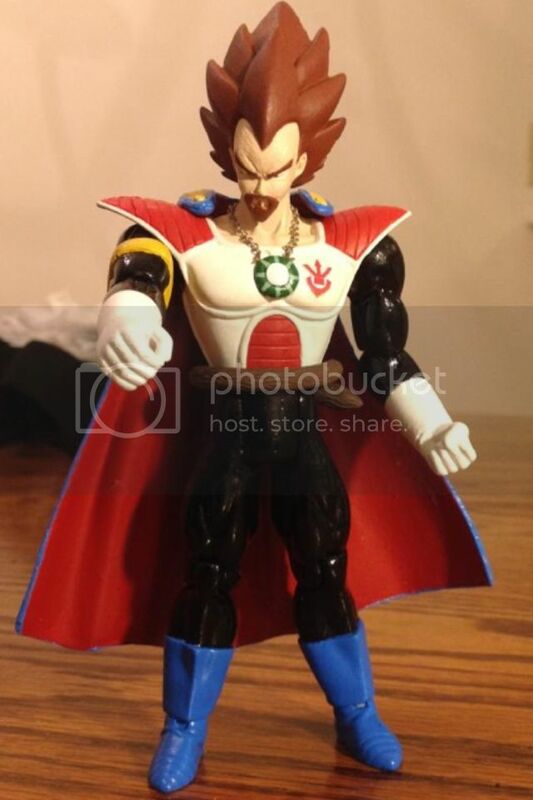 I changed da tong trunks head for the official ss one, I love how that looks. So glad to have 17 in my collection. My Android/Cell saga setup is coming along great. I seriously need to get normal goku again and Frieza though. I want to catch up before the new ones come out. I would love to have the non s.h. figuarts as official figuarts figures as well. 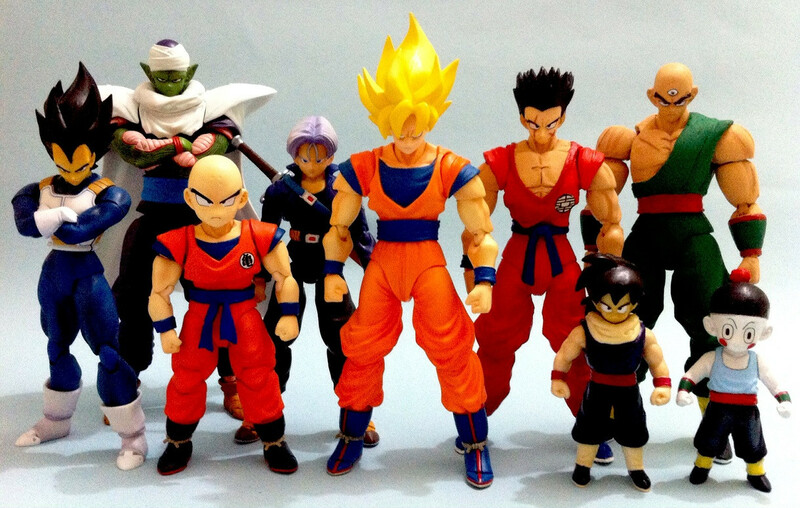 I´d love Dr.Gero, Semi Perfect Cell, SS Trunks long hair, and an official SS Vegeta!!!! figuarts eventually. 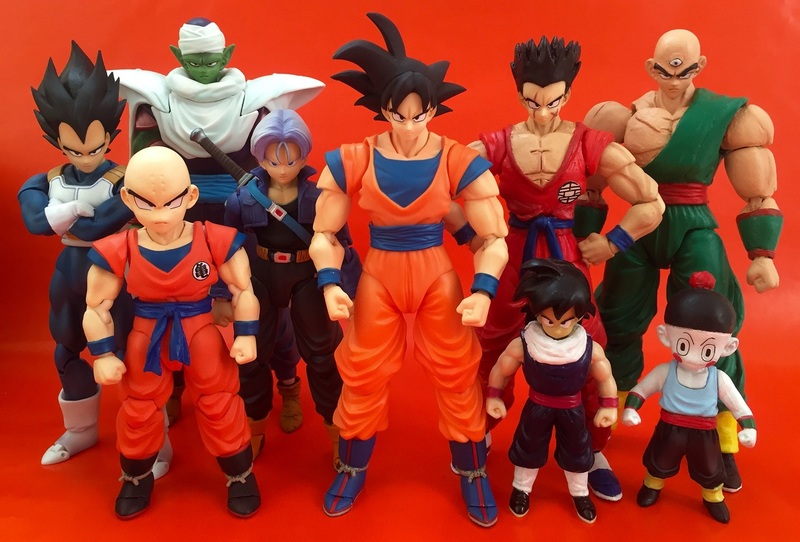 my next project is to try and do a android saga gohan ... the sbc one is too small in my overly obsessive mind, so im going to attempt one..
youre really making me wish I hadn't sold all my old Irwin figs... I had all those apart from 16, 17 and 18.. doh! is 2nd form cell Irwin aswell or a custom? Adz thanks man! glad you like it. The title shot is something I had wanted to complete since forever haha so since Tamashii hasn´t made those two I said heck and made them haha, but yeah, I love to have the z warriors in that lineup. 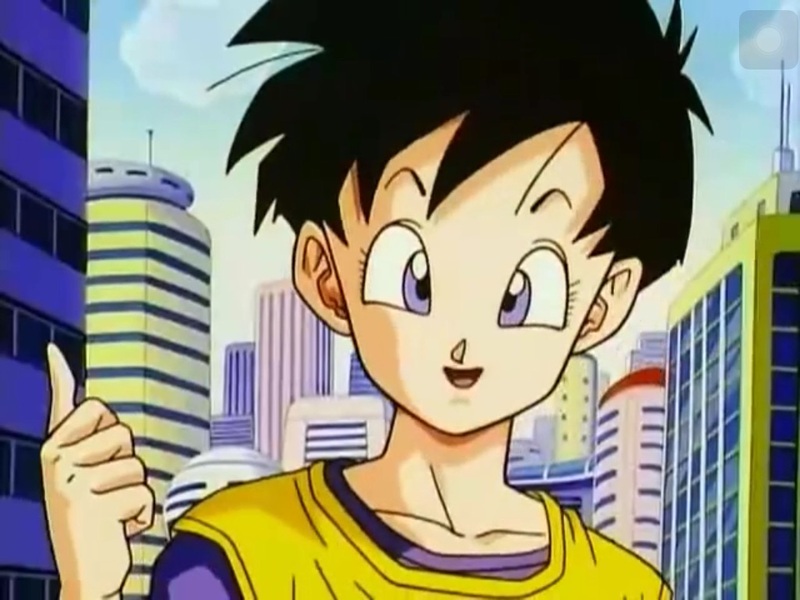 Good luck with the Gohan! the SBC is a bit too small and mine got all dirty for some strange reason lol I haven´t really played/messed with it but it got all brownish. I guess I´ll retouch it eventually. Those Irwin ones I have are great placeholders haha, but I´m hoping Tamashii continues to make many many figures including these. The 2nd form Cell is Jakks Pacific. 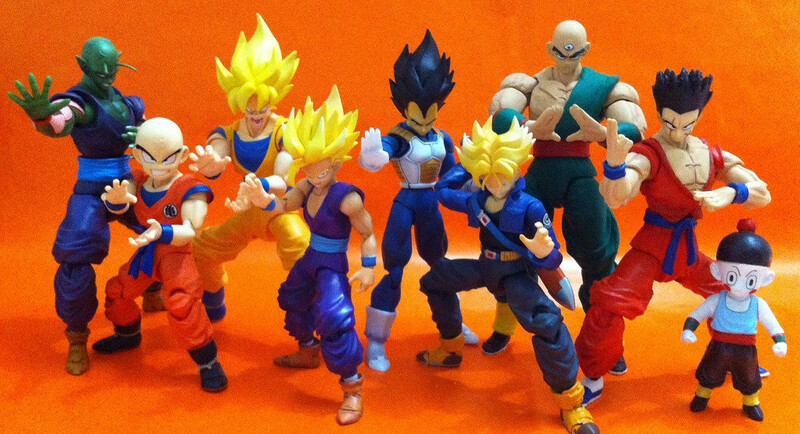 yep, fingers crossed Tamashii keep going and release the ones we want at some stage! Quick update for Taitans Yamcha. Ahh the feeling of adding a figure to the display. I wish it´d be easier to post pictures from my phone lol, I took this earlier today, but had to wait to get to my desktop to upload and get the link. Is there an easier way to post pics here via phone? some of you already saw it in the FB group. Either way, this pic was long over due. Upload the photobucket app or any other host and upload the pic using that. Then you can just copy the link over. That's awesome! I use the photobucket app. There could be easier ways, but that way works!